Andy’s Taylor Rental has been owned and operated in the St. Augustine area by the Gessells family for over 28 years. The business was started by Jim Gessells in 1980 with his son Andy Gessells. Andy took over as president in 1990. In 1997, Andy’s sister Amy Fowdy joined the family business as their event planner, and in 1998 Andy’s wife Georgette came on board as Office Manager. 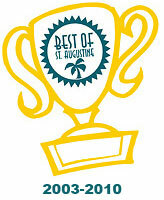 Andy’s Taylor Rental is a full service general equipment rental center in St. Augustine Florida. We have been serving the needs of North Florida homeowners, contractors, caterers, brides and businesses since 1980. We offer quality service and advice for every customer that walks through our door. 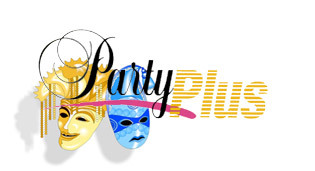 Whether you’re planning a North Florida wedding, banquet, anniversary party, or carnival, whatever the event is, we offer detail planning and rental items such as tents, tables, chairs, linens, dishes, cotton candy machines, dunk tanks, and bounce rides: whatever it takes to make your event a success. 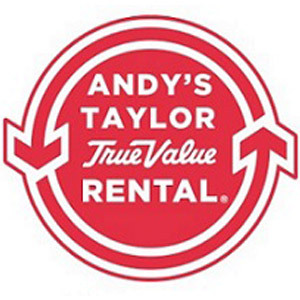 With Andy’s Taylor Rental, you save time, money, and stress. Spend your special day enjoying your family, friends, colleagues, and guests. Let us handle all the details. Thank you so much for working with us to plan a beautiful wedding! Everything was absolutely beautiful. It was a great experience working with you & your staff. You had some great ideas that helped us design a truly unique & elegant event. We couldn’t have done it without you & we are looking forward to your decorating magic at Byron’s Brothers November wedding. We are recommending you to everyone! We offer the largest assortment of top-quality equipment in the contractor industry. We carry front end loaders, back hoes, concrete buggies, lifts, cut saws, grinders, and much more. Our staff is trained to help you get the right equipment to make your job easier. We also have everything you need to get professional results for any do-it yourself home projects. Use what the pros use, whether you are painting (we have paint sprayers and pressure washers all sizes to fit the job), or are sanding floors (we have drum sanders, vibratory sanders, floor edgers, and polyurethane for a first class finish). We have the professional quality equipment to service your needs. Doing spring cleaning? Then try our professional equipment for cleaning your carpets, polishing floors, high pressure steam cleaner (for tile grout), and all the chemicals to go with it. Out of town guest coming to stay? We offer baby crib rentals, high chairs, car seats, strollers and roll away beds for the bigger guys. We do offer delivery service so it can be there when you arrive. Why buy it when you can rent it? For professional results and competitive pricing, rent from the best. THINGS TO RENT FOR EVERY EVENT!! !